The Basketball Spotlight 8th Grade Top 10 is listed below. There is some serious talent in this class. Remember these rankings are just our opinion and should be taken as such. 1. 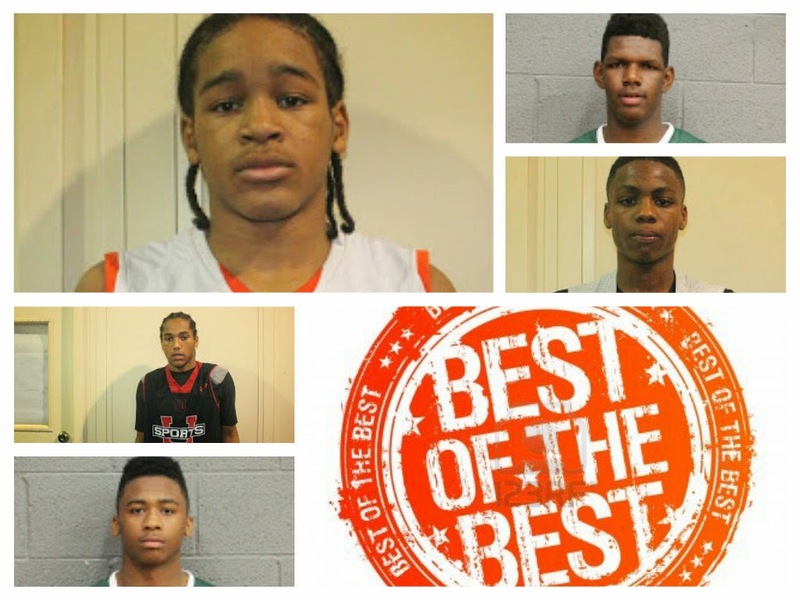 DC Premier: This stacked squad made things look easy as they rolled through the AGame Super Shootout. They are the favorite to win the Clash For The Cup in a couple of weeks. 2. Team RIO National: Team Rio won the Funsport Championship after making it to the finals of AGame Super Shootout. They will me making their Spotlight debut at Winter Warz. 3. Harlem Jets: HJ won the Tip Off Classic and will be trying to double up a the Clash For The Cup. Their very aggressive on both ends of the floor. 4. NY Rens: The Rens check in the 5th spot. They made it to the final four of the Tip Off Classic and will be making the trip down to the Clash For The Cup. 5. New Heights: MH made it to the finals of the Tip Off Classic. I will be excited to see them at the Clash For The Cup in January. 6. I 10 Celtics: I have a felling this squad will be moving up quickly. They had an impressive run during the AGame Super Shootout and should be one of the teams to beat at the Clash For The Cup. 7. Hilltoppers Heat: HH made a final four run at the Tip Off Classic. They are really putting together a good program. We will see them again at Winter Warz. 8. Philly Triple Threat: PTT is another team that should be making the move up this list. They have the talent and experience to make a deep run this year. 9. Team Twelve: TT brought their aggressive style to the Tip Off Classic and made it to the quarterfinals. They will be making the trip down to the Clash For The Cup. 10. CTA/Turbo: The boys from NY won the Blue Division Championship at the Tip Off Classic. Now they must move over to the Orange Division for the Clash For The Cup. The Basketball Spotlight 7th Grade Top 10 is listed below. This age group has brought some exciting play and developed a few intense rivalries. Remember these rankings are just our opinion and should be taken as such. 1. Slam City Elite: The “Terror Squad” has rolled over everyone this season going 21-0 so far. They most recently won the Tip Off Classic crown and are prepared to play in the Clash For The Cup coming up. 2. PSA Cardinals: The Cardinals have ben nibbling down the heels of Slam City. Their overall body of work has them at the #2 spot. We will see them again at Winter Warz. 3. 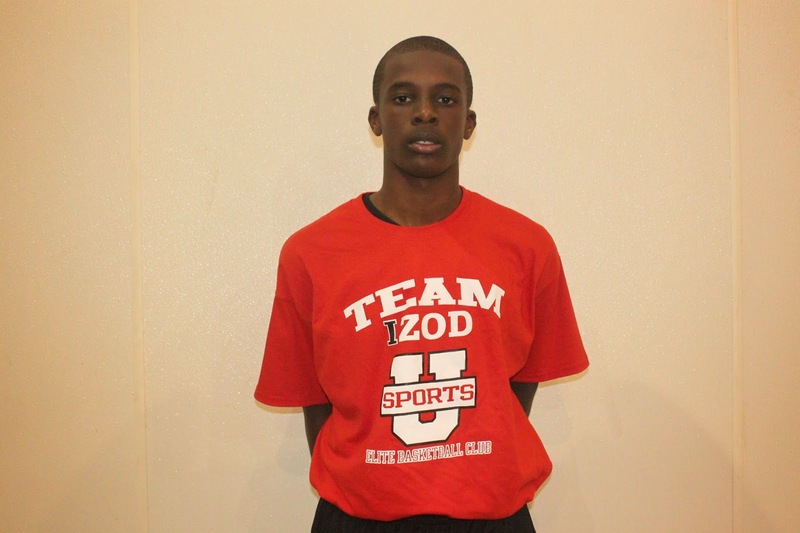 Team IZOD: Team IZOD made a championship game run at the Tip Off Classic before falling to the Terror Squad. They should be returning to the Spotlight circuit for the Winter Warz. 4. Gauchos: The Choz impressed us at the Tip Off Classic. They have a very talented bunch and have a chance of moving up the rankings. 5. Team Takeover: TTO has some good talent on their roster and should be making their Spotlight debut at the Clash For The Cup. I recently saw them make it to the finals of the AGame Super Shootout. 6. King Street Kings: The Kings are back with a deep roster. We will get our first look at them during the Clash For The Cup. 7. I 10 Celtics: The California squad also impressed us at the AGame Super Shootout. They also will be ready to rock at the Clash For The Cup. 8. 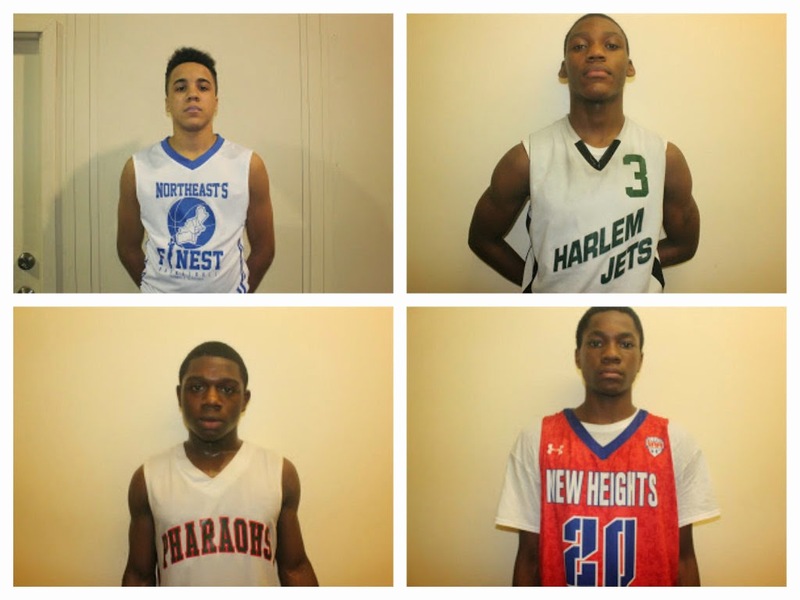 NY Rens: The Rens had some impressive wins at the Tip Off Classic. They should be making the trip to Winter Warz in February. 9. Havoc City: HC has the talent to move up the ladder of this list. We will get another look at them during the Clash For The Cup. 10. Hilltoppers Heat: HH is a scrappy bunch that and will be looking to move up soon. They will be back in Spotlight action during the Winter Warz. The Basketball Spotlight Top 10 5th Grade Teams are listed below. We had a chance to check out many teams in some early tournaments including the Tip Off Classic. Remember these rankings are just based on our opinion and should be taken as such. 1. Havoc City: HC won the Tip Off Classic impressively. They have some of the top players in the country and should be considered one of the favorites to win the Clash For The Cup. 2. Riverside Hawks: RH made it to the finals of AGame Super Shootout and the Tip Off Classic. They will make their return to the Spotlight circuit during Winter Warz in February. 3. Banneker Kings: One of the most loaded teams in the region lost in the semifinals of the Tip Off Classic on a half court buzzer beater. Now they will bring their talent to the Clash For The Cup where they will play in their own back yard. 4. Maryland Finest: I haven’t seen the big dogs yet. But hopefully we will get a chance see them rock at the Clash For The Cup. 5. Playtime Panthers: The Panthers made a good run at the Tip Off Classic. We anticipate them returning to Neptune in February for the Winter Warz. 6. Team RIO National: I saw these young fellas at the AGame Super Shootout and I think they have the potential make a late run. They are also scheduled to come down to Winter Warz. 7. Hilltoppers Heat: HH have a few good pieces and will be a factor on our circuit this year. I look forward to seeing them in Winter Warz. 8. NY Rens: The Rens made a quarterfinal run at the Tip Off Classic. We anticipate them returning to NJ for Winter Warz. 9. Philly Triple Threat: PTT made it to the Elite 8 of the Tip Off Classic. They will be returning to the Spotlight circuit very soon. 10. NJ Shore Shots: NJSS had a couple of close losses at the Tip Off Classic but I think they are a better team than this. If we don’t see them at the Clash they will be in the building for Winter Warz. The Basketball Spotlight Top 5 4th Grade teams are listed below. We will be expanding our list from 5 to 10 after the Clash For The Cup. Here’s the Top 5 teams according to Basketball Spotlight. Please remember these rankings based on our opinion and should be taken as such. 1. Havoc City: HC won the AGame Super Shootout and made it to the finals of the Tip Off Classic. They have a lot of talent and the chance to keep their winning ways going at the Clash For The Cup. 2. Riverside Hawks: The reigning National Champions came to the Tip Off Classic and ran the table. They have enough weapons in their arsenal to win the Grand Finale. They will return to action at the Clash For The Cup. 3. M.A.D.E. Signature: I like this squad from the DMV area and they pushed everyone to the limit at the Tip Off Classic. Now they move into the Clash For The Cup with a chip on their shoulders. 4. 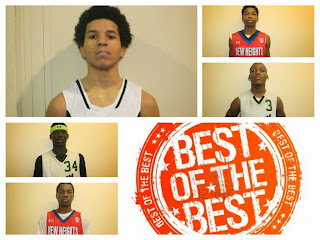 Maryland Pride: MP made a strong run at the A Game Super Shootout. Hopefully we will see them in action at the Spotlight. 5. Baltimore Finest: The B’More Finest has some pesky ballers. They will give us a chance to show us what they got at the Clash For The Cup. 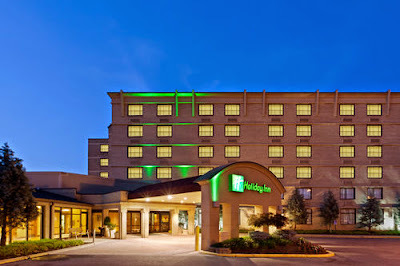 The Holiday Inn of Laurel will be hosting the Clash For The Cup in District Heights, Maryland. Teams that need to register for hotels will just need to contact them for your rooms. All of the information that needed is below. Please register for your room before January 5th. I will see you guys at the Clash For The Cup. Hotel Rate is $79.00 per night. Cole Anthony AKA "The Natural" Putting In That Work! Cole Anthony AKA "The Natural"
Cole Anthony AKA “The Natural” has been a dominate force on the Spotlight circuit for the last few years. Most recently he played in the Tip Off Classic and dazzled the crowd while leading his team to the final four. 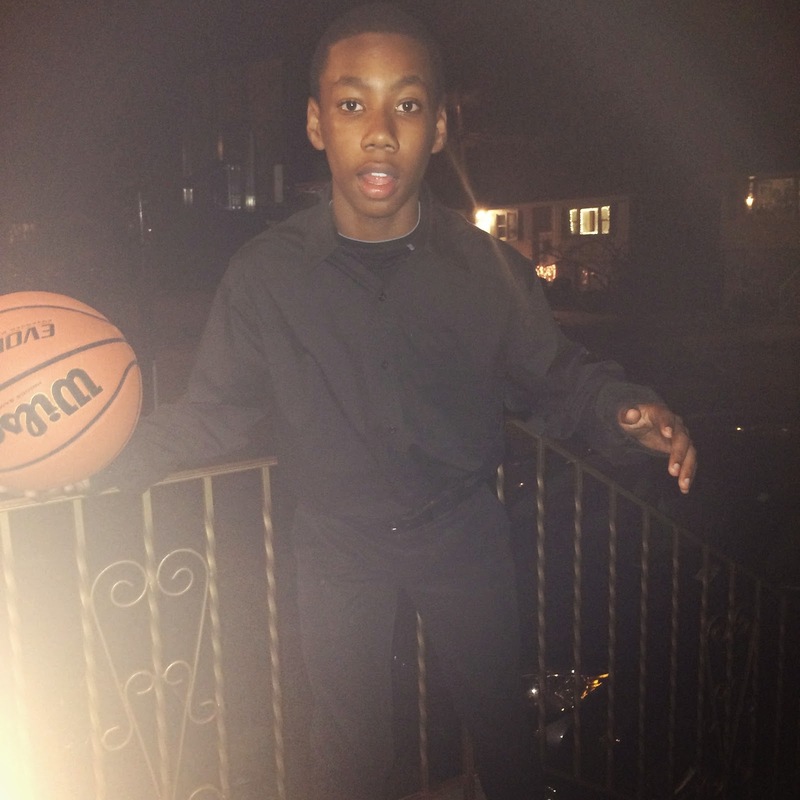 Next up he will lead the NY Rens down to District Heights, MD for the Clash For The Cup in January. His aggressive style and high skill set make him one of the best guards in America. 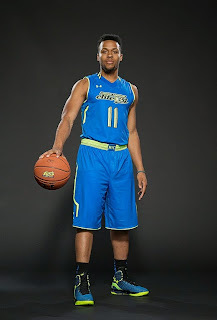 Basketball Spotlight loves seeing their alumni shine and no one has shined more than 2011 Player of The Year Isaiah Briscoe. We came across this documentary which gives you a peek into his life. We would like to congratulate Isaiah on his accomplishments and wish him luck this year in going for the high school national title. 4th Grader Lebron James Jr. put on a show at a recent tournament in Houston. He’s seems to be a point guard with the flair and unselfish play that has made his father famous. It seems like this player will have a real bright future while playing in this huge shadow. The Clash For The Cup is Basketball Spotlight’s first stop into the DMV area and this event has already received some commitments. Below are the teams that have already enter the January 10th and 11th event. Deadline December 20th. This event will feature two divisions. The Basketball Spotlight Tip Off Classic is in the books. We had a lot going on in Neptune, NJ. Here are some of the interesting storylines from that weekend. A scheduling conflict with a first year 8th Grade league allowed some new teams to enter the big stage of the Tip Off Classic. Some of the players on these teams used this opportunity to introduce themselves to the world. 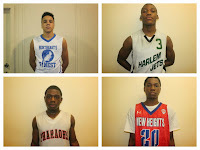 We got a chance to see talented wing Luis Reyonso from Northeast Finest, point guard Elijah Wenn of the Harlem Jets, Papie Roberts of Newark Pharaohs and Precious Achiman Of New Heights to name a few. Great Job Fellas! Slam City Elite Rolls On! It wasn’t pretty but the “Terror Squad” found a way to win the Tip Off Classic and stretch their unblemished record to 21-0 They had two-point victories over Gauchos (semifinals) and Team IZOD (championship). They are trying to become the first team in Basketball Spotlight history to go through our entire circuit undefeated. Their next stop is the Clash For The Cup on their home turf in Maryland. Team IZOD Trying To Lock The Region Down! 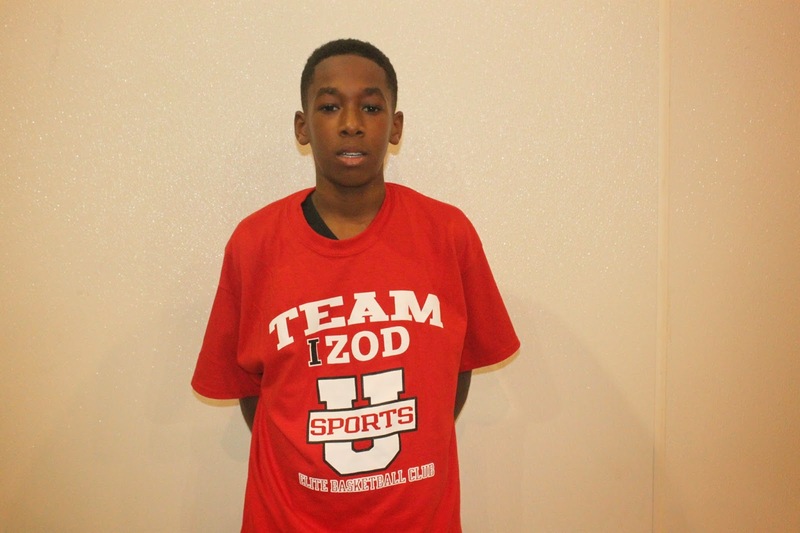 Team IZOD rolled out their grammar school programs for the first time this season and I must say they were impressive. The 7th and 6th Grade teams were a combined 3 points away from winning both championships and their 5th Grade squad showed some promise even in defeat. They are packing up the talent from each age group and might be one move away from not only locking down NJ but the region (More On That Later). Reggie Carter has proven to one of the best recruiters ever. A few years ago I read an article stating that New York basketball was dead for good, well at the Tip Off Classic their squads represented to the fullest. They won 4 out of the 7 championships and had two other teams that lost in the finals. Harlem Jets (8th Grade Orange), CTA/Turbo (8th Grade Blue), Metro Mavericks (7th Grade Blue) and Riverside Hawks (4th Grade). I guess we are witnessing the resurrection. Harmon was remarkable at the Tip Off Classic has he carried two teams to championship game victories. What makes the feat so great is that Harmon is far from a decoy so everyone in the building knows he’s going to shoot the rock and he’s still able to not only put up numbers but also lead his team to victory. 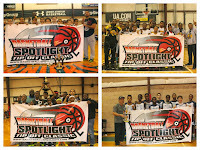 Special Note: Basketball Spotlight would like to send shout out to those 8th Grade players that will miss most of the Spotlight Circuit due to circumstances beyond their control. We did miss you guys and hopefully we will get a chance to meet up again at the AC Showcase in April. 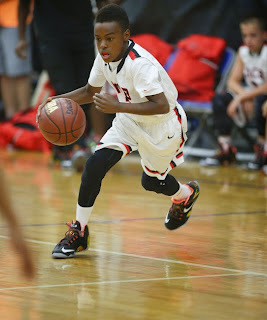 The 6th Grade Division of the Tip Off Classic featured the Top 3 players in America and they all lived up to the hype. Here’s a look at 6th Grade Best Of The Best and Player Performance Rankings. The legend continues as Harmon led his squad to another crown in spectacular fashion. “The Lion” is determined to win and he seems to always find a way to get it done. When it’s all said and done he has a chance to be one of the best guards to come through Basketball Spotlight. Patterson was always looked at as a good prospect down the road but really took a bigger step in that direction when he displayed his guard skills during the Tip Off Classic. It’s kind of scary how good he could be if he keeps working harder. Harris made his Spotlight debut and was impressive. He dominated the paint on both ends of the floor. I think we will be seeing a lot of him soon as he will be joining TI on a full time basis. Pierre is one of the toughest and most focused floor generals around. He’s definitely a player that leaves it all on the floor each time he takes the court. I have no doubt he will be successful in this game of basketball. Bascoe can let it go from the cheap seats. If you leave him open and let him set his feet it’s usually money in the bank. Williamson made a name for himself at the Tip Off Classic. Shaq proved when in the right position he can score buckets in a hurry. Harmon actually scored the most points in the event but in terms of spreading the love we decided to focus on Houston’s output. The good looking prospect from the North led his team in scoring and helped them reach the final four. Williams showed the ability to score and create his teammates. On this squad he will have the chance to show more of the point guard side of his game. His versatility allows him to guard different positions on the floor. He’s capable of defending a perimeter player and also getting down and dirty on the post. The 7th Grade Division of the Tip Off Classic featured some of the best players and teams in the region. 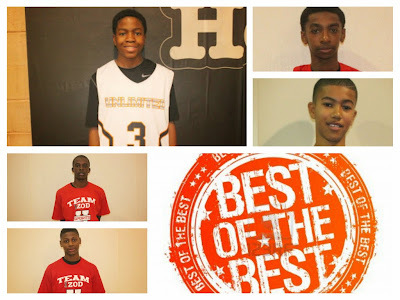 Here’s our Best Of The Best from the 7th Grade Division at the Tip Off Classic. As stated in my write up Robinson was the best guard I saw during the weekend. He blistered the defense from all three levels and did the damage at his own pace. His team lost in the final four against the eventual champions. Pickett once again guided PSA Cardinals to the final four. His job is to win and keep his teammates happy and he seems to do well at it. Todd has caught the eye of every opposing coach and scout in the building. When he’s playing and running the floor you can see the potential oozing from his veins. Toles averaged close to 15 points over the weekend and none were bigger than the buckets he scored in their final four show down against the Gauchos. He virtually put the team on his back and got things done. This guard caught my eye as he made things happen for the Brooklyn Rens. He made the defense pick their poison on rather they were going to let him score or allow him to set up teammates. I don’t know where the Cardinals found this kid but he gave them instant offense. He broke through the defense like a running back and scored in various ways. Few see the floor like the big guard from Pennsylvania. Once he gets to the second layer of the defense his teammates need to get ready to get fed. Clowney plays defense old school style. He moves his feet well and loves crashing the boards for rebounds. Austin stroked the rock well in his TI debut. He got into a comfort zone and wasn’t afraid to let it fly. The 8th Grade Division of the Basketball Spotlight had a ton of talent and gave us a look at some fresh faces. Basketball Spotlight is always excited to bring you new players that are on the horizon. 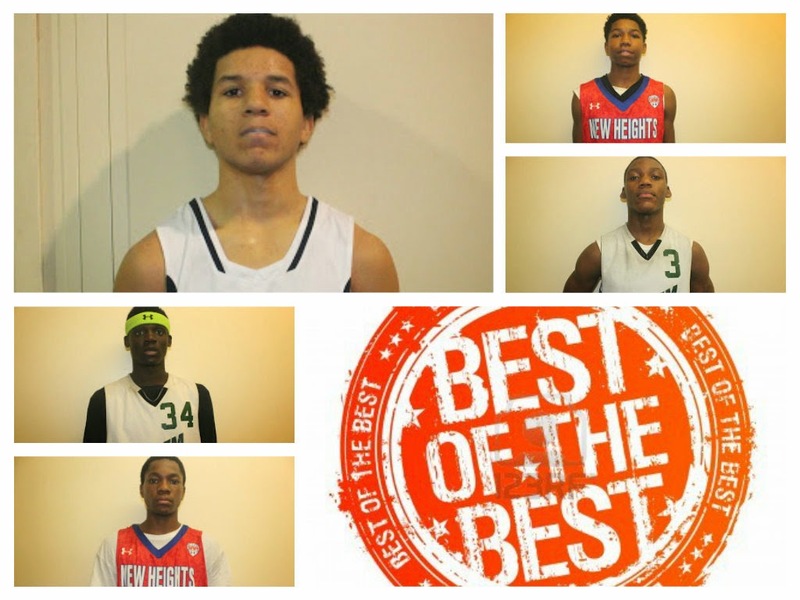 Here’s our 8th Grade Best Of The Best and Top 20 Player Performance Rankings. His team lost in the final four but few can argue anyone impacted the game more than Cole Anthony. On some stretches he looked totally unstoppable. I can see a big year for the NYC guard. Wenn proved to be a good floor general because he guided his team to the title. Whether he was scoring or running the show he did whatever needed to get the job done. I’ve been around long enough to know a good prospect and Reysono seems to be on his way. His developing body and feel for the game indicates that he might have a high ceiling. Mark my words you will be hearing about this kid. The determined guard from “The Bricks” went on a scoring barrage this weekend especially the 33 points he dropped on Team Phenom. The kid simply got buckets. Battle had all facets of his game on display. He scored the rock and threw some good passes over the weekend. He’s very fluid with the rock and the game comes natural to him. Achiman is another good prospect for New Heights. I love his athleticism and the fact that he’s nowhere near a finished product. I kind of unfair because few will be able to win this award over McIntyre because he sees the floor so well. He actually lives to pass the rock to cutting teammates. 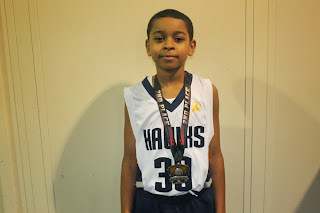 Adeleye ability to defend multiple positions helped the Harlem Jets get it done. He plays like a Ben Wallace type with a little more offense. BS: How did it feel for you guys to win the National Championship? DC: Winning the national championship was an amazing feeling. Our team went through a lot of adversity during the season. Sometimes it was even frustrating just trying to get through a practice. But our coaching staff kept working, our boys kept fighting, our parents kept believing and we were able to put a National championship run together. It was an even better feeling winning a Championship for our Historic Program and for our city!! BS: Who are some of your top players returning from the National Championship team? DC: Some of our top players returning are Caleb Crawford (PG), Brandon McCreesh (F), Christian Bliss (F) and Jack Guevara (F). We also added some Key pieces Jeremiah Dorsey (PG) Ian Abreu (F) and Josh Thigpen (C)who have helped our team tremendously. But the biggest thing is that we pretty much have our entire nationally championship roster back. On our team 1-12 can ball so our strength really comes in #s.
BS: What attracts you to the Basketball Spotlight circuit? DC: We love the spotlight circuit, it’s one of the toughest circuits around. We get to play quality competition while also having the ability to get our boys some exposure. BS: You guys are off to a great start to the season, how many championships to you think you can win this season? DC: We really don’t look that far, in terms of counting championships before we get them. We just want our boys to compete at a high level whenever they take the floor and when we do that we are extremely hard to beat!!! We have racked up 4 championships and we honestly think if we play our style of ball we can win every tournament we enter. BS: What teams out there are you looking forward to play against? DC: We would love to play ASA out of Atlanta and Washington Evolution. BS: How do you feel about the new AAU rules and how will it impact your program? DC: We like new AAU rules, we feel it does level the playing field. Just wish they didn’t drop the bomb out of nowhere. Rules don’t affect our team much. Lost a couple players but still have 90% of our roster returning. 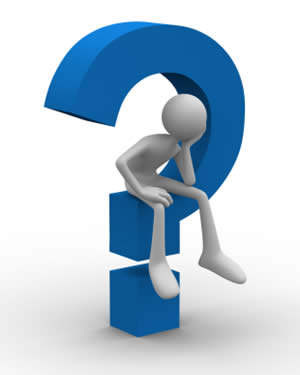 BS: If you could change one thing about the climate of AAU basketball, what would it be? DC: I would change the age cut off for nationals!! Don’t like that Sept 1st date. BS: Give me one word to describe your 4th Grade bunch. 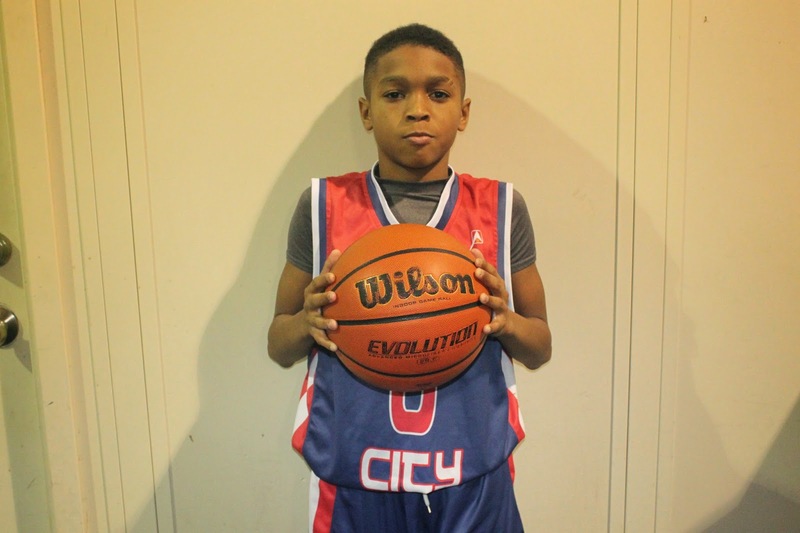 The Basketball Spotlight 5th Grade Division of the Tip Off Classic gave us a look at some of the upcoming baby ballers. 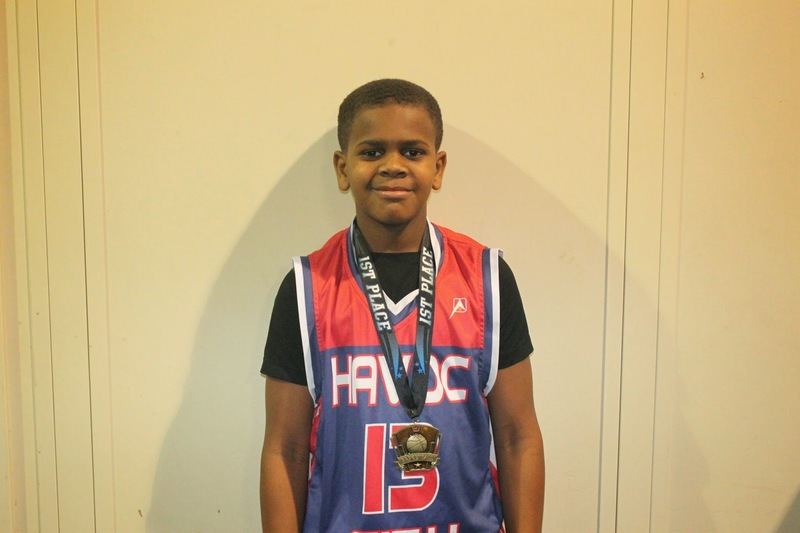 Here’s a look at some of the top 5th Graders that brought their game to the Spotlight. Antonio Sellers Guard (Havoc City)- One of the new trends in showcase tournament is teams bringing top talent for the weekend. Havoc City did just that by having the #1 player in the country drive down I-95 for the Tip Off Classic. Yes Antonio Sellers AKA Baby Briscoe was in the building. Sellers didn’t waste any time getting adapted and eventually did his thing. In the finals he led all scorers with 20 points. When he’s on his game, his combination of size and skill makes him difficult to stop on this level. Knasir McDaniel Guard (Havoc City)- Sellers benefited from playing with one of the most unselfish players in the country in McDaniel. This point guard had to be on this earth in a previous life because the way he sees the floor is so old school. He has one of the best drive, draw and dish games in the country if not the best. If I’m starting a team from scratch for this age group I would have to consider selecting him with my first pick. 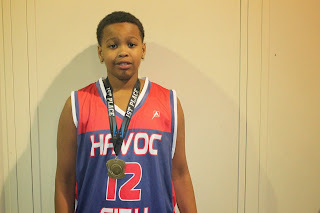 Ferrell Crowell Guard (Havoc City)- Crowell was another big contributor over the weekend. The combo guard played well alongside McDaniel and relished in the open floor. When you have him charging at you in full speed it’s difficult for any 5th Grader to contain this kid. He chipped in 12 points in the finals. 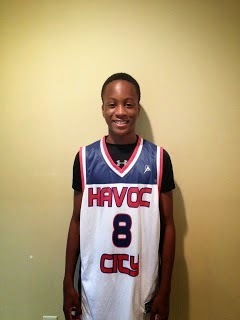 Obinna Chuke Guard (Havoc City)- While the trio up top made the defense collapse, Chuke made them pay with the deep ball. He knocked down 4 treys on his way to 18 points in their championship victory. He found the right time to shoot lights out. 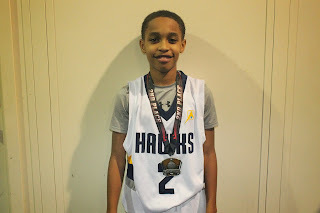 Kameron Rodriquez Guard (Riverside Hawks)- It was his half court buzzer beater that launched Riverside Hawks into the finals. This kid loves the big moment and tends to deliver when it comes. His team came up short in the finals but once again he made it to the big dance. Michael Carothers Guard (Riverside Hawks)- Carothers stepped up big in the championship. He scored 13 points including 3 treys in the finals. He teamed up well with Rodriquez and they almost got the job done. 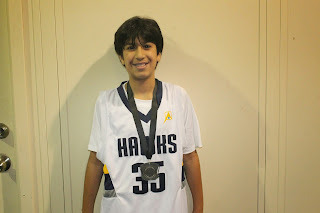 Isa Khalid Guard (Riverside Hawks)- Khalid was another deep threat for the Riverside Hawks. He chipped in 10 points in the loss while also connecting on two trey balls. 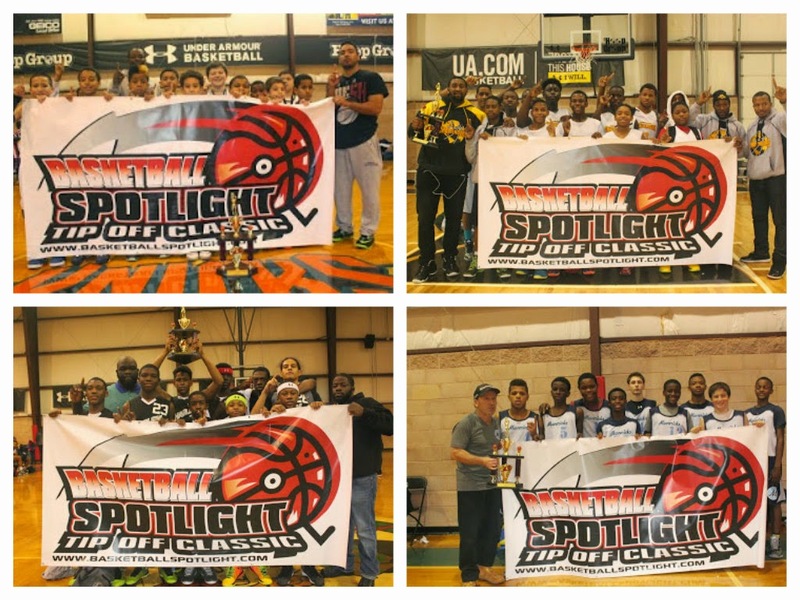 The 6th Grade Division of the Basketball Spotlight Tip Off Classic was deep with talent. Here’s Part 2 of the top performers from the weekend in Neptune. 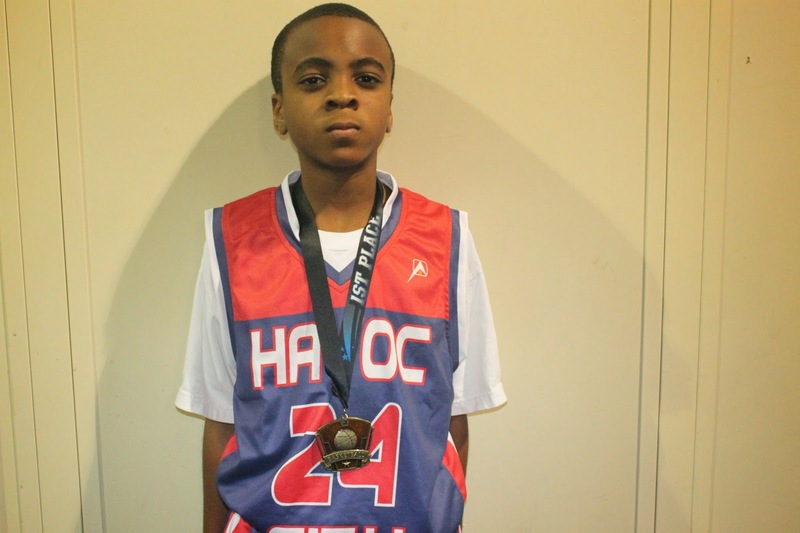 Caleb Houston Guard (S Elite)- Houston led the team in scoring over the weekend. He’s a long athletic guard that can hit the outside shot or finish in traffic with a floater. He’s also willing to stick his head inside for rebounds and show versatility on the defensive end. His best game was a 17 point outing against NY Panthers. 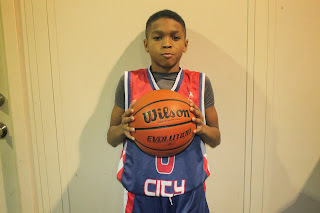 Joshua Bascoe Guard (S Elite)- Bascoe is the coach’s son so it’s easy to see why he knows how to run a team. He’s very crafty with the rock and enjoys getting his teammates involved. Bascoe also packs a serious cannon as he will drain treys from anywhere in the gym. He had three treys in their semi-final loss Unlimited Glory. 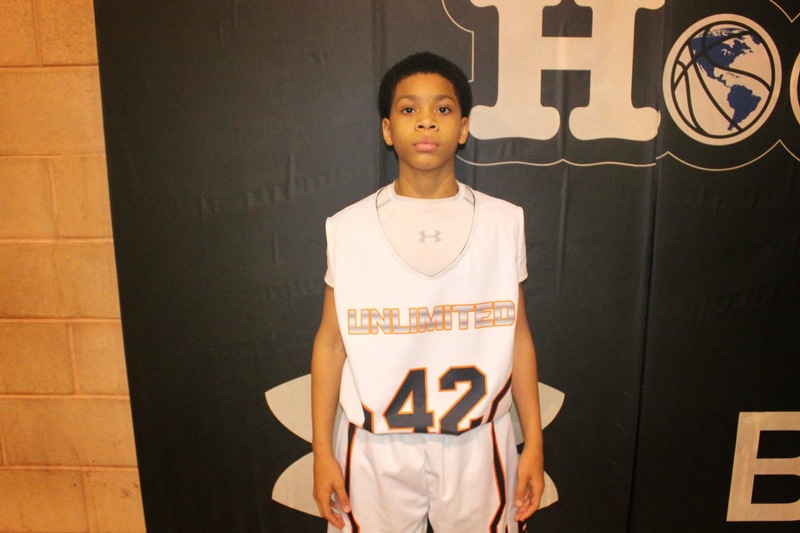 Xavier Fearon Guard (S Elite)- Next up in the scoring column was Fearon. The lefty averaged close to 11 points a game. He finishes off plays well in the lane while also hitting the jumper consistently and passing the rock well. This is a terrific trio. Jayden Pierre Guard (Hilltoppers Heat)- Pierre once again put in some serious work over the weekend. This pure gym rat has shown and proved throughout this short season. He’s the opposing guard that many opponents hate to see in front of them. Because he’s coming hard and will make you step your game up. 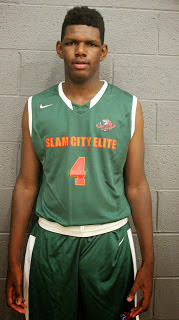 Afamdi Achufusi Guard (Havoc City)- Afamdi Achufusi had another solid weekend at the Spotlight. He averaged about 12 points per game along with double figures in rebounds. His versatility keeps Havoc City alive in most games they play. 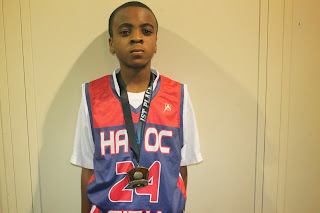 Mike Myre Guard (Havoc City)- Mike got into the action for Havoc City with a well-rounded floor game. He averaged 10 points as well as several rebounds and assist. He will need to keep up this production for HC to stay on pace as one of the top teams in the region. Malcolm Fork Guard (Philly Triple Threat)- Fork just joined PTT this year and gave them a taste of what he could do the first game. The swing guard that’s known for playing hard dropped in 15 points in their first game victory over NY Panthers. Zaakir Williamson Forward (Philly Triple Threat)- Nicknamed Shaq for his bubbling personality, Williamson feasted inside like the future Hall Of Famer. He went berserk against NY Panthers going 20 markers with 18 of them coming in the first half. He’s one we will keep our eye on. Michael Jackson Guard (Hilltoppers Heat)- No not the singer but Jackson can make the net sing from deep. He’s a 3 point specialist that found his groove. He was able to drain enough triples to help Hilltoppers Heat make a deep run at the Tip Off Classic. 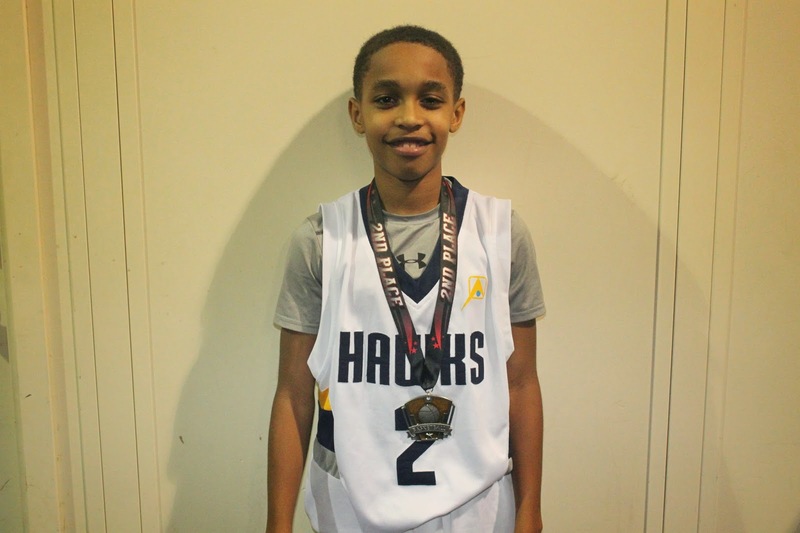 The Basketball Spotlight Tip Off Classic 6th Grade Division had a dramatic finish and gave us a glimpse at some of the future stars on the horizon. 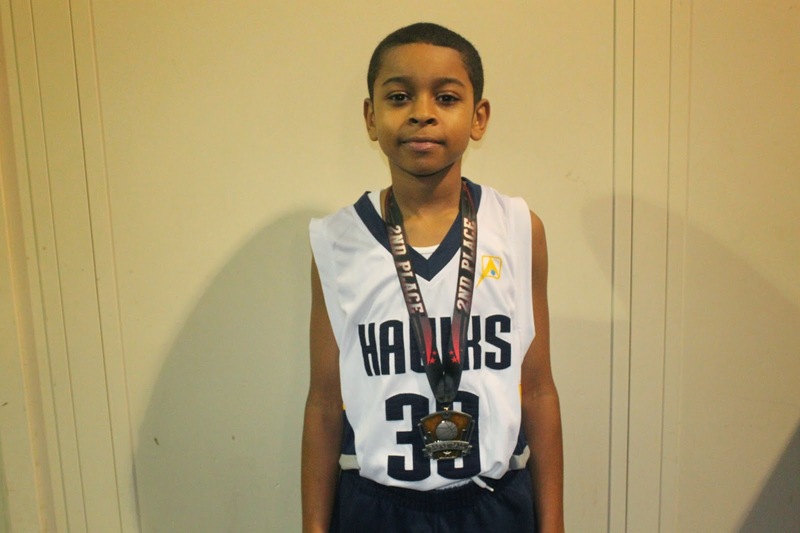 Here’s a look at the 6th Grade Top Performers from the Tip Off Classic. Zion Harmon Guard (Unlimited Glory)- “The Lion” was remarkable this weekend on the 6th Grade level. One of my colleagues predicted that he would win it all before the tournament tipped off and I thought the task would be too large. But “The Lion” proved him right as he hit up Canadian power S-Elite for 40 points in the semifinals before scoring 30 markers and hitting two free throws with no time left on the clock. His game winning free throws came with him alone on the floor and IZOD followers screaming in front and behind him. His play was totally clutch this weekend. 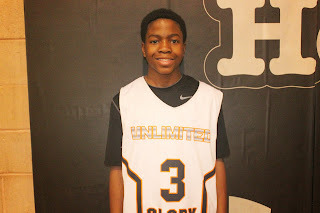 Keon Henderson Guard (Unlimited Glory)- Henderson took the flight from Michigan to help out “The Lion”. The lefty made the most of his trip by showing off his slick dribbling moves and ability to get an open look. His persona and poise on the floor makes me believe he has to be one of the top 6th Graders in Michigan. Trey Patterson Forward (Team IZOD)- Patterson entered this event as one of the top players in the country and didn’t do anything to hurt his status. He played 6th and 7th Grade for Team IZOD and looked good while doing it. I love his improved motor and willingness to push the rock from the guard position. The more comfortable he gets on the perimeter the more his stock will soar later on. He has a chance to be a very special player through hard work. 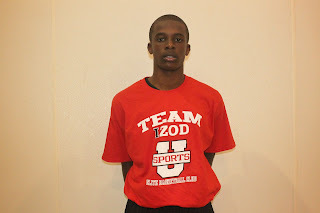 Donnell Harris Forward (Team IZOD)- Harris made the trip up from Florida to hoop with IZOD and had a successful weekend. He has one of the best motors in the glass and is beginning to show vast improvement in his offensive skill set. Word is that he will be relocating here on a permanent basis and if this is true than there’s no doubt that TI will help his game reach its full potential. We definitely look forward to seeing more of this kid. 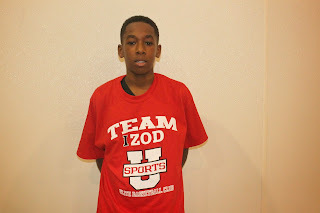 Tristan Jeffries Guard (Team IZOD)- Jeffries is a wing scoring that can also get it done on the perimeter. He saved his best game for the finals where he scored a team high 18 including eight free throws. While other players garner a lot of attention Jeffries proved to be very efficient over the weekend. Justice Williams Guard (Team IZOD)- Williams has the job of operating the big time machine and did a good job his first time out. I like the pace he played the game with and was also willing to look for his own shot. He scored 11 points in the final pool game against Philly Triple Threat and 12 in the championship loss to Unlimited Glory. Hello World, and this is Judah McIntyre with my weekly diary. This week was a lot of studying and gearing up for my Mid­Terms and my music concert that was on Sunday. Monday was a pretty tough day in regards to school, mainly because I received a lot of homework. Thankfully, I finished most of it in my study hall meaning I had more time to study for my math midterm that was on Wednesday. Even though it was a rough day, I had school basketball practice that made it a lot better. After my practice, I had basically the whole gym to my self for a good 45 minutes. I worked mostly on attacking with my off hand and pulling up going at full speed. Since this week required a lot of studying, after school would be really the only time this week I would really get to work on my game. Once, I got home I put my head in the books and got to studying, and that really was the end of my night. Tuesday, was a similar day to Monday with the exception of realizing that Parent Teacher Conference was on Friday. So, realizing this I had a lot of being a teachers pet to do(haha). After school today, I had practice, which most of the time isn't that great of a workout. So, I stayed again after practice to work on my game for another hour and a half. Throughout my mini workout, I worked a lot on improving my range and working on making my moves quicker and more elusive. Later that day, I finished up my homework and really reviewed my last notes before my test on Wednesday. Wednesday, I had math last period which gave me a little more time to study for my exam. I haven't gotten my test scores back yet but I definitely think I did well on it. I was so relieved that my math test was done but I realized that I had an oral spanish exam that next day. So, after school I went to my friends house and we had a little study session but we also had a lot of fun. I ended up sleeping over their house and they brought me to school the next day. Thursday, because of Parent Teacher Conferences, we had a half day(1:30). During first period I took my Spanish Speaking mid­term which I later got a 93 on. After that, I had a dress rehearsal for my concert on Sunday, which took up the rest of the school day. Later that night, with my mom and older sister, I went to my little sister's band concert. They played ok, but they are still not as great as me. Friday, I hung out with some of my friends from school since we had the day off. Since I had practice that night, I met up with my teammate Jordan, and we took the train to practice. Practice that night was good for us because we worked on a lot of game type situations, which I really think we needed and I think it helped us for our games this weekend. Saturday, was a really light day for me, I woke up really early for a game in Brooklyn that ended up being a forfeit which I was pretty upset about. But, I came home and I slept for a good 5 hours. Once I woke up, I was told that I had to do some housework, which isn't always fun but in my house is a must. So, for the next 2 hours I was cleaning and organizing my house to the standards of my mother. Sunday, was an eventful day for me, It started off with me playing in my mandatory concert. I played in an African Drumming piece and I also played in a HandBells ensemble. I was told that both acts that I was in were the best performances by far. This was great to hear but while I was on stage I was really worried about my team playing the Gauchos in the Funsport Tournament. They played great and beat the Gauchos by 16. I thank God that they won because we were able to advance to the semi­finals against Metro Flyers a rival of ours. After my concert finished I rushed down to Brooklyn just in time for our game. It was a very slow/odd game, but we ended up pulling out a victory anyway. Since we won, we are on to the Barclays Center, where we will play on the 23rd against Team Rio, a very talented team that we definitely want revenge against. On February 7th and 8th Basketball Spotlight will return to New Jersey for the Winter Warz. This tournament will feature some of the top teams in the region. Please don’t wait too long to register because it will have limited spots. The Hoop Group Headquarters will be the primary location for this event. Note: (All 4th and 5th Grade Games will be played at Hoop Group Headquarters). The 7th Grade Division of the Tip Off Classic featured some future big time players and some of the top teams in the country. Here’s Part 2 of some of the top players that were in attendance for the Tip Off Classic. CJ Robinson Guard (Gauchos)- Robinson was perhaps the best guard I seen in this age over the weekend. He has a Chauncey Billups type game and had it on full display against Slam City Elite. He broke down the defenders with ease while scoring at the tin but he also calmly drained trey balls from behind the arc. This kid definitely has the goods and I can’t wait to see him again. 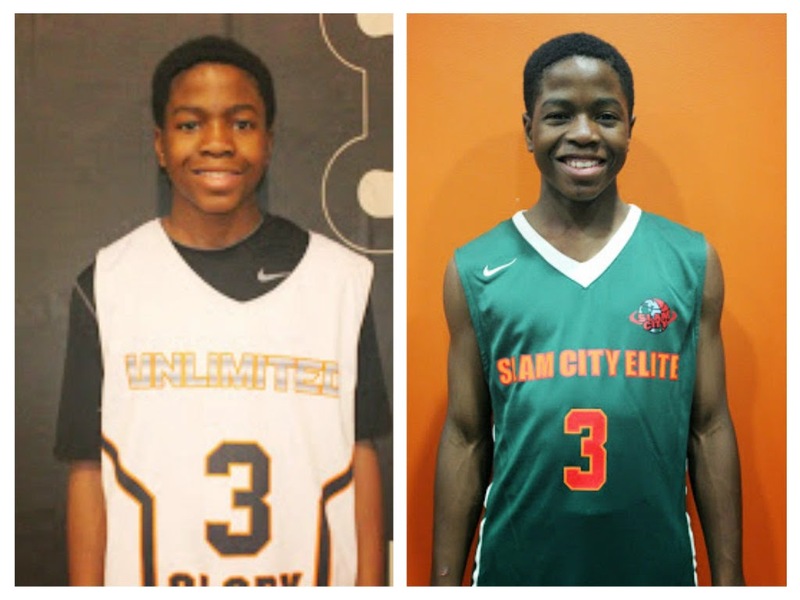 DJ Bailey Guard (Gauchos)- Now if you want some fireworks then Bailey is the guard for you. The lefty enjoys shaking defenders and either finishing with a floater or knocking down a long trey. The Bronx native also packs some serious flair in his game and is often a crowd favorite. He reminds me of a young Nick Van Exel. 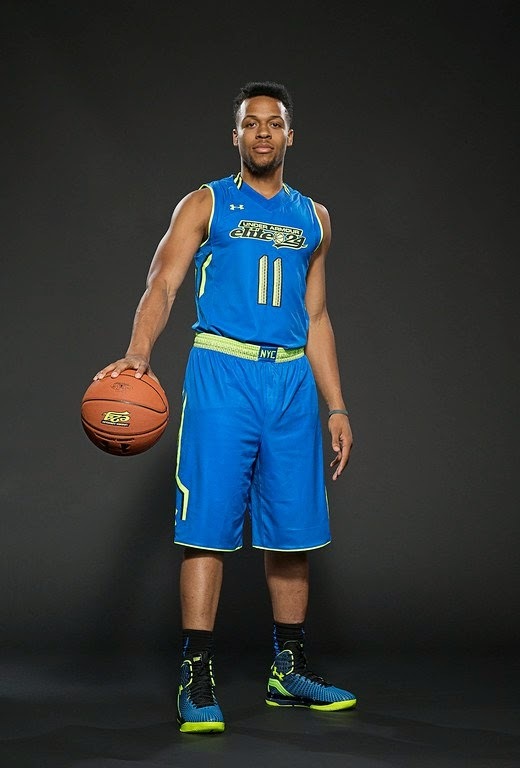 RJ Davis Guard (Gauchos)- The silent assassin of the “Alphabet Boys” picked apart defenses from behind the arc. He benefited from the penetration skills of Robinson and Bailey. He appeared the nail a trey every time the Choz needed a big shot. He has the same demeanor on the floor regardless of the pressure of the game. Tasheem Pickett Guard (PSA Cardinals)- Pickett drives the car for this Bronx based squad. His quickness and court vision makes him one of the most important players on the floor. He has the ability to dominate a game without even scoring a bucket. He’s a throwback point guard with a pass first mentality. Posh Alexander Guard (PSA Cardinals)- Posh was a welcomed addition to this group. He plays with an urgency that you can’t teach. His relentless style helped him put up numbers against several teams and different types of defenses. Once he adds a change of pace to his game and picks his spots better to attack his stock will be even higher. Jaylen Murray Guard (PSA Cardinals)- Murray is flat out wire to score and he does it well. He slashes through the defense with tough finishes in the half court and in transition. He had his best game of the tournament against fellow NY Wiz Kids. Sometimes he makes it look easy. Kareem May Guard (Brooklyn Rens)- The Brooklyn Rens gave a scare o the eventual champs Slam City and May played a major role. The combo guard got it done scoring while attacking the defense and also knocked down two treys. He finished the game with 16 points. 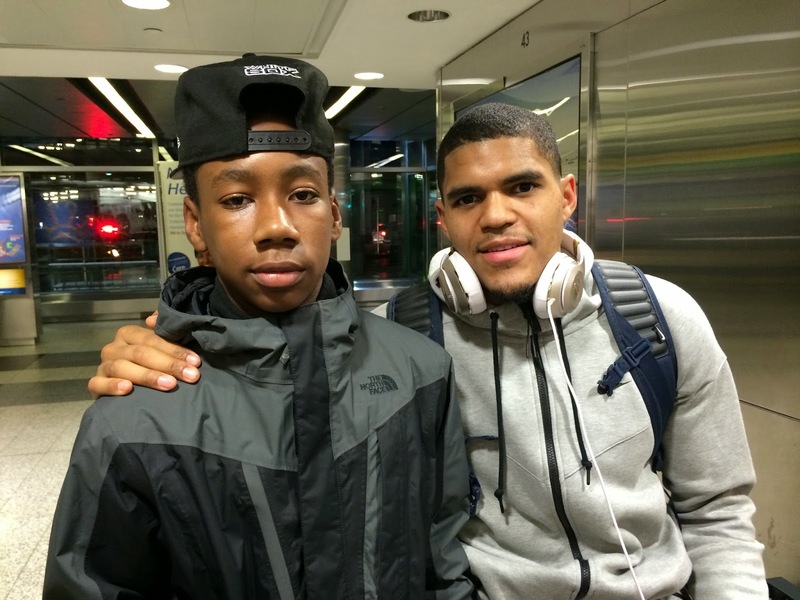 Mike Williams Guard (Brooklyn Rens)- Williams teamed with May to have a great weekend. 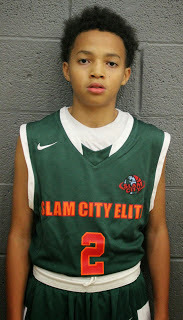 He led the team in scoring including 17 points in the loss to Slam City Elite and finished averaging 15 markers per game. Williams and May are a tough back court that we will keep our eye on. The 7th Grade Division of the Tip Off Classic featured some future big time players and some of the top teams in the country. Here’s a look at some of the top players that were in attendance for the Tip Off Classic. Cameron Byers Forward (Slam City Elite)- Any loss in pool could have meant the end for any of these teams so the Terror Squad needs to thank Byers. The bruising forward saved the day against the pesky Brooklyn Rens. He received the ball on the blocks, lowered his shoulder and then exploded up for easy buckets. After a slow first half he scored 14 points in the second stanza to help them win it all. 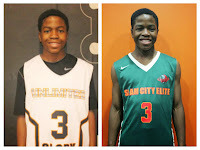 Jordan Toles Guard (Slam City Elite)- Toles led the team in scoring over the weekend and his most important points came against the Gauchos during their semifinal showdown. In the closing moments the athletic Toles attacked the rim while finishing high and strong. He definitely looks his best in the open floor. Zion Harmon Guard (Slam City Elite)- After winning the 6th Grade Championship Harmon walked over and virtually led the Terror Squad to the 7th Grade title. Poised beyond his years, Zion drained 6 treys and hit a clutch floater to finish with a game high 22 points. He saved his best outing for the big stage. 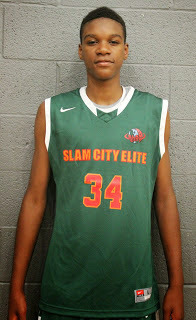 Isaiah Todd Forward (Slam City Elite)- Todd continues to show strides that could make him the best prospect in the region. He’s using his length to rebound, alter and block shots. He’s also running the floor better and finishing off plays. I can’t wait to see this youngster a couple of years from now. Tyler Brelsford Guard (Slam City Elite)- After a tough outing against Brooklyn Rens, Brelsford rebounded for his best outing against Boston Titans. In this contest he shot the lights out connecting on 5 treys and finishing with 21 points. He also shot the ball well early on their semifinal win over the Gauchos. 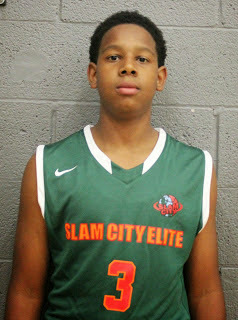 AJ Hoggard Guard (Slam City Elite)- Hoggard once again helped his team reach pay dirt. During the weekend hit did just enough of everything to help them get over the hump. His best offensive outing came against Philly Triple Threat as he tallied 17 markers in their lopsided win. Demon Clowney Forward (Team IZOD)- Clowney was an instant impact for his new team. He was an inside force on both ends of the floor and displayed some decent offensive moves. He plays the game with a big chip on his shoulders. Shane Dezonie Guard (Team IZOD)- Shane appears to have slimmed up from last season which has improved his quickness and explosiveness when finishing. Now he’s more dangerous in the open floor and creating plays for others. 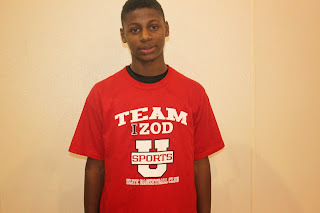 Dezonie will be heavily depended on this season to make things happen and help IZOD reach that next level. Austin Allison Guard (Team IZOD)- I was curious to see how Allison would respond to this atmosphere and he reacted well for the most part. Yeah he needs to get a little more comfortable handling the ball but he definitely shot the rock well when given the opportunity. His outside shooting will be vital to the success of Team IZOD.